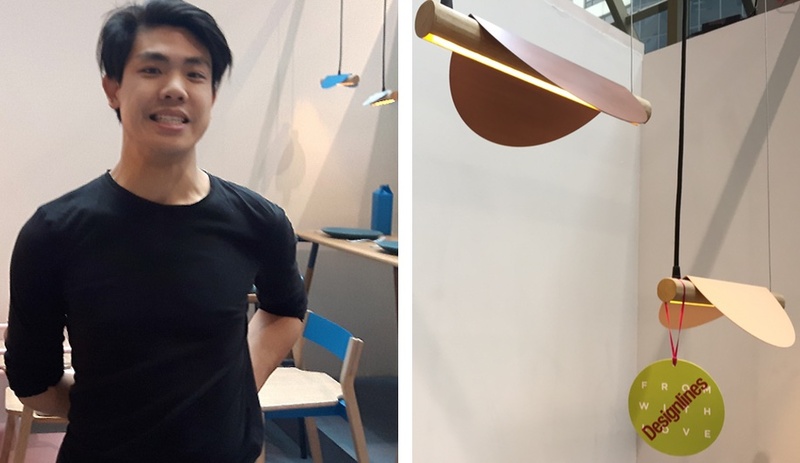 Helmed by partners Christian Lo and David Ryan, lighting and product design studio Anony really delivered with its debut lighting line at this year’s IDS. 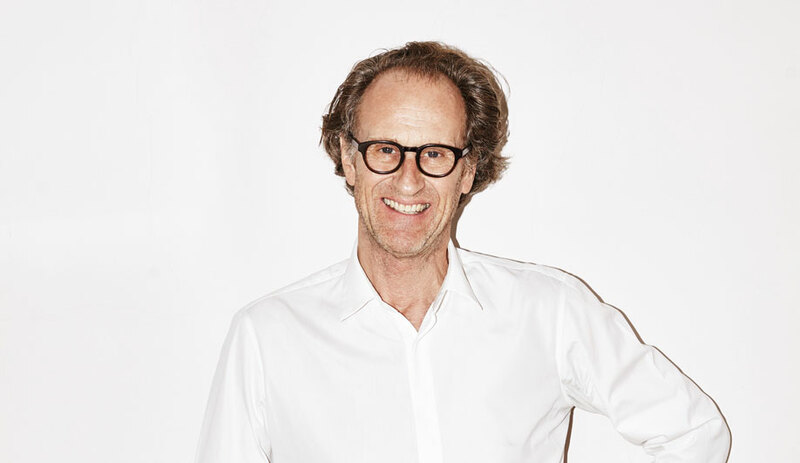 Drawing visitors in, their collection of three lights shared a common form – the pleasingly simple circle, which the duo refers to as a representation of “the most perfect geometry” – expressed in impressively different iterations. The Toronto firm strives to create meaningful emotional responses, and these did not disappoint. The Horizon wall sconce cast a hypnotic, halo-like glow against the white wall, practically encouraging one to pause and meditate, while a cluster of Ohm pendants (left) hung like perfectly formed snowballs, each playful shape projecting a soft light. 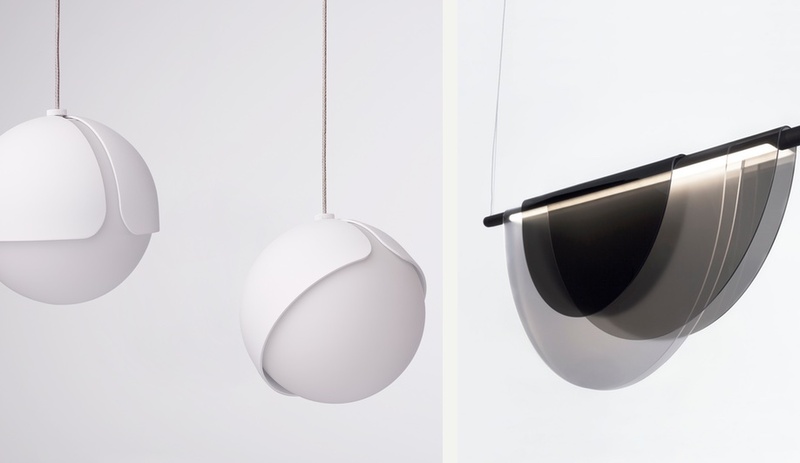 Perhaps the most overtly dramatic of the bunch, the Dawn suspension light (right) saw a number of Plexiglas circles flattened and folded in half over a linear aluminum rod. Adding an interactive layer to their beauty, each light can be manipulated by whoever is using it by shades that tilt, pivot or slide. Toronto designer Henry Lin’s range of lighting and furniture flaunted a spirited energy through its combination of geometric shapes, playful two-tone palette and mix of materials. First to pique our curiosity were his Taco pendant lights. 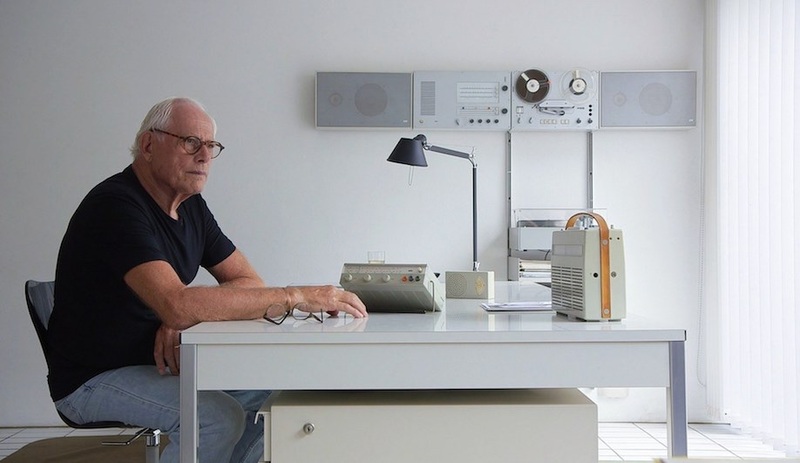 Comprised of only two pieces – a super-thin sheet of metal and a smooth oak dowel – they floated like tiny abstract birds in his symmetrically arranged booth. This simple choreography of metal and wood was carried through to his equally delightful furniture lines: both Stout, defined by thin metal sheets and beams, and Gesture, which sees thicker metal tubes as a framework, use the interplay of the two materials in supportive and visual roles. Tactile and aesthetically pleasing, Lin’s offerings have plenty of promise. A rising star at this year’s TODO festival, Toronto-based product and interior designer Simone Ferkul garnered a lot of positive attention with her Sling Planter series. 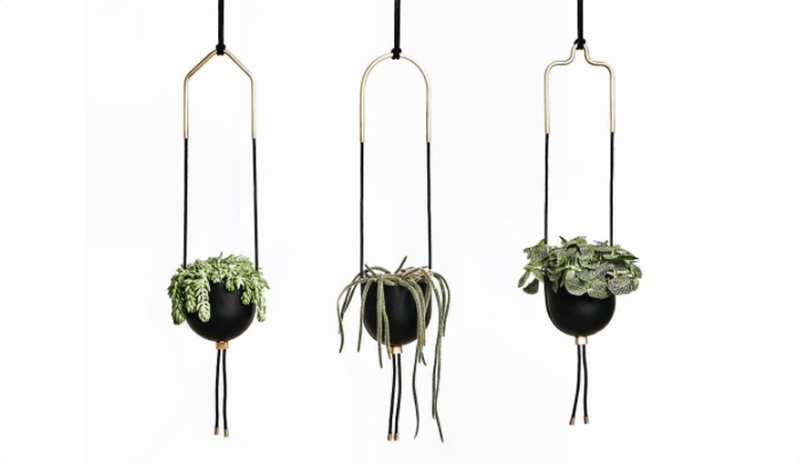 An elegant spin on the traditional hanging planter, the series’ black ceramic vessels are supported by fabric cords bound together by brass-coloured metal clasps, just like a bolo tie. The three diminutive planters won best-in-show at Umbra’s Compact Living exhibition, an event dedicated to exploring home solutions for small-scale urban lifestyles. Providing us with a solution that’s simultaneously classic and modern, simple and sophisticated, Ferkul has proven herself as an emerging designer to watch. 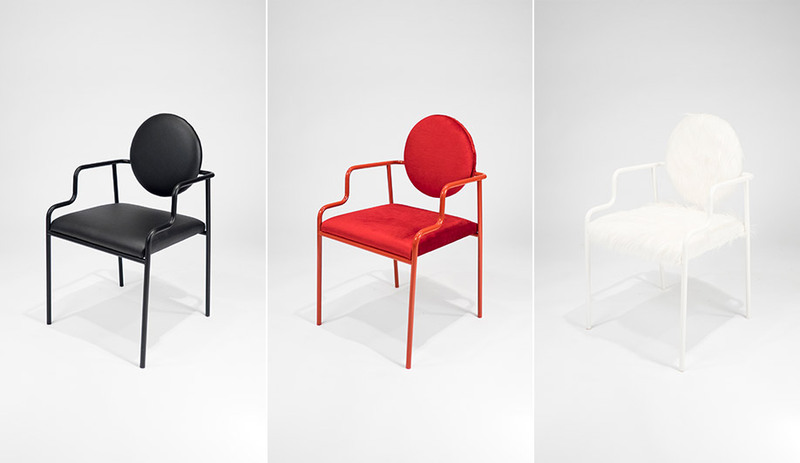 Chinese-Canadian OCAD student Topher Kong was all over TODO this year, showcasing variations of his Ro chair at three different sites. At Spectacle, the stately yet modern upright was dressed up in daring red velvet, catching the eyes of passers-by from behind the shop’s window. At Tables, Chairs & Other Unrelated Objects (an offsite exhibition at the Gladstone Hotel, where OCAD students showcased their work), the same piece was given a full pop of exuberance with a white fur-covered seat and back. Finally, in the Prototype section at IDS, the chair was clad head to toe in a black vinyl. From black to white to red, vinyl to velvet to fur, Kong has shown the versatility of colour and fabric that his elemental form can support. His updated Vo side table, also on display at Spectacle, was just as eye-catching. With two tube bent legs and a circular top, the simple yet innovative form makes it feel like an instant classic. We should expect to see a lot more of note from Kong. For the Detroit design duo’s first visit to IDS, they showcased two objects that showed the diversity in their individual aesthetics. Ayako Aratani, a Japan-born designer who holds a bachelor of engineering in product design and a master’s of fine arts in 3D design, presented Click-Clock, her series of porcelain wall clocks that feature no digits. Instead, soft undulations in the pastel-hued material hint at the time. The furniture piece presented by her collaborator, Evan Fay, was in bold juxtaposition to the soft timepieces. 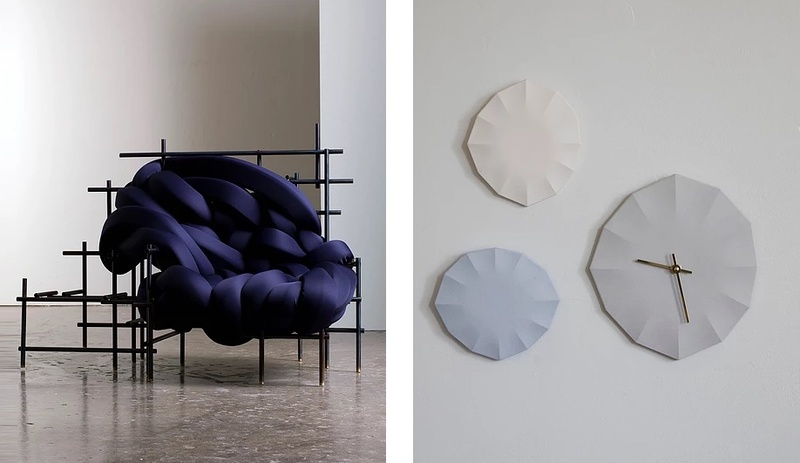 The Lawless Chair is a navy-blue seat of intertwined foam ribbons, supported by an angular metal frame. 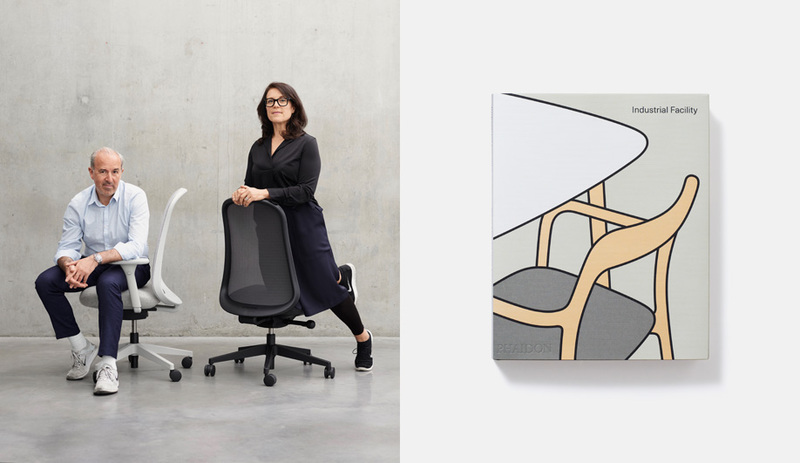 The collaborative studio is taking orders for both items and, if the response observed on the show floor is to be believed, they’ll need extra hands to help fulfill them.